In the United States, February is Black History Month. This month is dedicated to educating Americans about the countless contributions African Americans have made to our country, as well as remembering the obstacles they've had to overcome throughout American history. Sit-In: How Four Friends Stood Up by Sitting Down is written by Andrea Davis Pinkney, and is illustrated by her husband, Brian Pinkney. It tells the story of the four young college students who, after hearing Dr. King's messsage, took a seat at the Woolworth's lunch counter in Greensboro, North Carolina. They ignored the restaurants segregation policy, and refused to leave until they were served. The book goes on to explain how word of the sit-in spread like wildfire, and soon there were sit-in protests happening across the country during 1960. The author of this book uses a beautiful poetic voice. I like how some of the most important messages of the Civil Rights Movements are written in bold to really stand out. I created a simple follow-up writing activity that highlights a few of those quotes that are written in bold. Click HERE to download the writing worksheet. Also, I found this 4-minute video clip that summarizes how non-violence was key to the Civil Rights Movement. I suggest showing this video before reading the book to provide background knowledge. The Secret to Freedom is by Marcia Vaughan. Although it is historical fiction, it is written like a personal narrative. The book is written in first-person as the narrator recalls visiting her great-aunt Lucy when she was 10 years old. The young girl asks her great-aunt Lucy about the quilt scrap hanging from the kitchen wall. That's when Great-aunt Lucy tells her story of growing up as a slave on a plantation in South Carolina right before the Civil War. It's a heart-wrenching story, as she tells of how Lucy's parents were sold to a far-away plantation, and how her brother is tied to a tree and whipped for no good reason. It's also an inspiring story, however, as Lucy tells of how Albert arrives home one day with a sack of quilts. The quilts are sewn in such a way that they contain a secret code, as each pattern gives important information to slaves planning to escape along the Underground Railroad. Lucy hangs certain quilts on certain days, and the plantation owners have no idea what is happening on their property. The ending of this story is very touching, and it reinforces the unyielding strength of family bonds. In fact, if I were reading this book to upper elementary students, I would definitely take a moment to determine the theme of the book after finishing the story. I truly love the book itself, so when I found the Author's Note, it was an added bonus! The author's note gives additional details about how the quilts were used to convey messages to the passengers of the Underground Railroad. The back cover provides illustrations that match the quilt patterns described in the Author's Note. In the school districts near me, teachers are preparing to take standardized test in late February or in March. 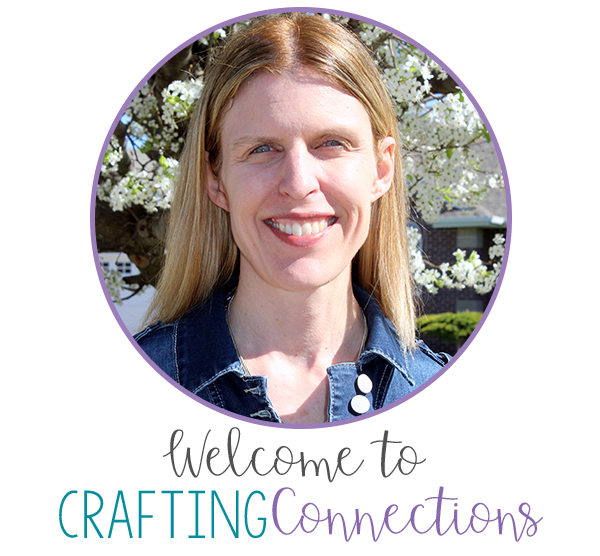 When I read the author's note, I decided that it would provide a perfect ELA test-prep activity in which a teacher could model the best way to approach a reading passage on a test. Click on this image to download this free test prep printable! The next step is reading the passage, of course. For this modeling activity, I would think-aloud as I read aloud. For example, when I reached the section about the log cabin, I would say something like "Hey! I remember highlighting "log cabin" when I was reading the question stems. I'm going to highlight it here on the passage so I can refer to it easily when I am answering the questions. After reading the entire passage, I would return to the questions and answer each one. I would also model how I would return to the text to justify each of my answers. Would you like an opportunity to win these two books? Just enter the Rafflecopter! I will ship the book to the winner of each giveaway! 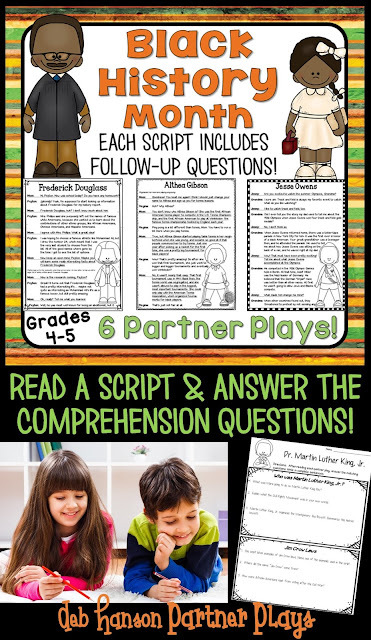 Finally, if you are looking for additional activities to recognize and celebrate Black History Month in your classroom, feel free to check out my partner plays! This set includes SIX scripts featuring the accomplishments of Frederick Douglass, Hank Aaron, Elijah McCoy, Ruby Bridges, Thurgood Marshall, Althea Gibson, and Jesse Owens. Click on the image to check them out!